Dîner en Blanc - International - Le Dîner en Blanc - Auckland celebrates its 5th Edition! 2018 will be an important year for Le Dîner en Blanc with the 30th anniversary of the first picnic the French capital as well as the 10th anniversary of Le Dîner en Blanc - Montreal. 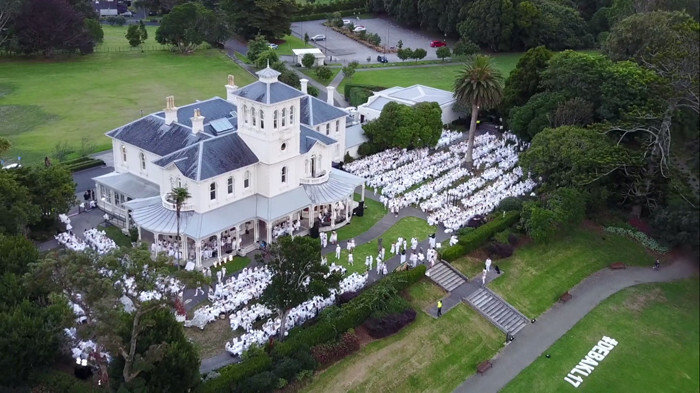 Plus, some of the other well-established Dîner en Blanc events are celebrating special achievements this year, such as Le Dîner en Blanc – Auckland which celebrates its 5th anniversary on Saturday, March 24th! To mark the occasion, we had some fun asking our “5 editions / 5 questions” to Vinny Sherry from Campbell+Co, who is responsible for bringing Le Dîner en Blanc to the North Island of New Zealand! How did you come to organize Le Dîner en Blanc? We were looking at events around the world that we might like to either be involved in or bring to New Zealand. We heard about Le Dîner en Blanc and knew straight away we wanted to get involved in some way – so we reached out to see if we could be involved. After lots of discussion with the founders of the event, they were satisfied we were the right team to deliver the event in Auckland, and the rest is history. How is Le Dîner en Blanc different from any other event in which you’ve been involved? Being part of this global movement makes Le Dîner en Blanc Something truly special. While each event is always distinctly about that host city, there is a real magic knowing you are part of something much bigger, something global. The event also pushes people outside their comfort zone, dressing in white and bringing their own table and chairs and being on show, but every year we see the excitement on the faces of those who haven’t been before and that’s awesome. What is it about your city that embraced the concept so enthusiastically? 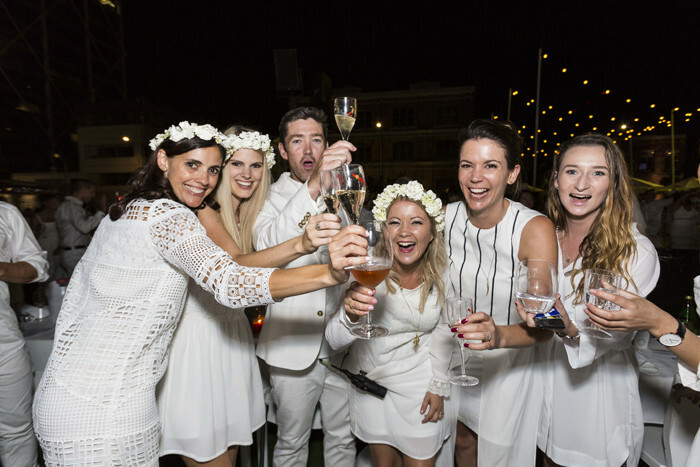 Le Dîner en Blanc has given Aucklanders an opportunity to experience their city in a different way during the summer months. A lot of people look for opportunities to get out of the city in summer weekends but Le Dîner en Blanc is a reason to stay and celebrate the city in a whole new way, taking coaches and trains and ferries all over the city to discover new places and experience popular spaces in a whole new way. What is your proudest or most memorable Le Dîner en Blanc moment? Every year has had a moment of magic, but we have also been through some huge challenges with the weather. My proudest moment would still have to be about halfway through the first Dîner en Blanc in March 2014. We had to postpone our inaugural event from the initial date because of a cyclone and thus became the first city in the world to ever postpone a Dîner en Blanc, which isn’t an accolade we wanted! But, after everything we went through during that process, when we finally got to host the event two weeks later it was pretty special. It was a stunning night and finally, once the event was in full swing, our amazing team got to stand back and appreciate what we had been through and what we had achieved and toast putting on an amazing first event. How has Le Dîner en Blanc evolved in your city over the past five years? Where do you see it heading in the future? The event is now established in the event calendar for Auckland as one of the must-attend events and we have grown the event to around 1250 people each year, which is great. In the future, we hope it will continue to be a part of the summer calendar and we are passionate about keeping it going, but we are running out of venues! So, we need support from the community to ensure it can keep going! We had one more question: If you could go to any Le Dîner en Blanc in the world, which city would you visit? Vinny dreams of New York City because ‘New Yorkers embrace the fun and joie de vivre that make the event very special’. But he also thinks of Paris as it is the home of the concept and of French elegance. With Le Diner en Blanc – Paris is celebrating its 30th anniversary on June 3rd, we hope he gets the chance to join in the festivities!